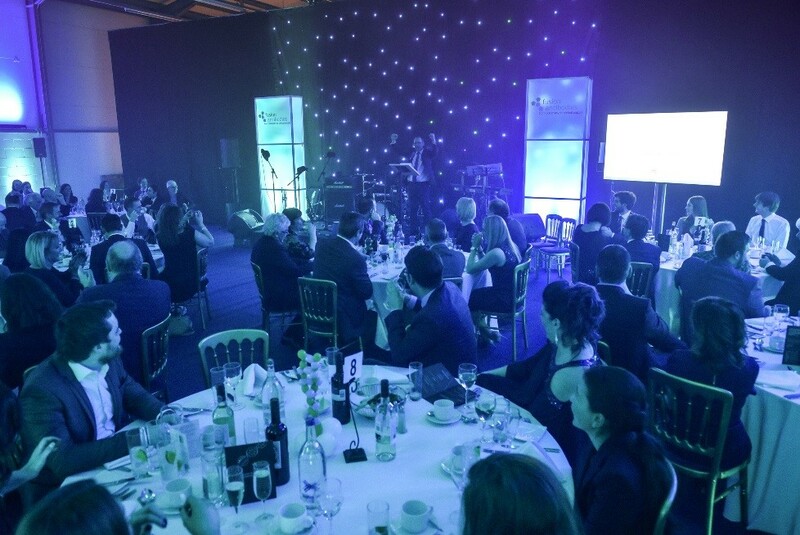 BELFAST January 2018 – The Crescent and Fusion teams got dressed up in their glad rags and prepared to toast the success of Fusion Antibodies plc. The wonderful event was held to celebrate trading in Fusion’s shares going live on the London Stock Exchange in December 2017. The celebration was held down in Fusion’s laboratory, whose décor was transformed from a warehouse to a cool event space. The décor, catering and music were all put together and organised by Ross Licence and Judith Brannigan from Libra Events. The night was a roaring success and enjoyed by all. Party guests enjoying the festivities!